Mindtree, a global technology services and Digital transformation company, announced its consolidated results today for the fourth quarter ended March 31, 2019 as approved by its board of directors. 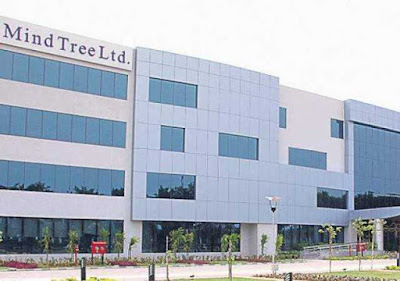 “Mindtree has delivered exceptional performance for both the fourth quarter and the full fiscal year as we cross the historic $1B milestone. Over the course of two decades our strategy of being expertise-led and backed by a unique culture continues to help us attract world class people and create customer successes.” Rostow Ravanan, CEO & Managing Director, Mindtree. ” Our ability to consistently grow significantly faster than the sector is a reflection of the investments we have made to align with technology trends disrupting our industry. We are well-poised to continue delivering industry leading returns for all our stakeholders, the best is yet to come”. o Automation is playing a significant role in modernizing our technology service delivery, enhancing both efficiency and speed-to-results for our clients. o The Board of Directors, at its meeting held on April 17, 2019, have declared an interim dividend of 30% (Rs 3 per equity share of par value Rs 10 each). The Board of Directors have also recommended a Final Dividend of 40% (Rs. 4 per equity share of face value of Rs. 10 each) for the financial year ended March 31, 2019 and a special dividend of 200% (Rs. 20 per equity share of face value of Rs 10 each) to celebrate the twin achievements of exceeding USD 1 billion annual revenue milestone and 20th anniversary of the Company which are subject to the approval of Shareholders.